PLAYING CAREER: Opening batsman. Senior England Schoolboy XI 1962, 1963. Member of Norton C.C. XI in the North Staffs & District League where he played alongside club pros Frank Worrell, Jim Laker, and Gary Sobers. Staffordshire Minor Counties XI 1961-1965. First Class debut for Oxford University 1964. 'Blue' 1964, 1965 and 1966. Championship debut for Derbyshire 1966. County Cap 1968. 1,000 runs in a season 5 times 1968-72. 1,441 runs (average 41.17) in 1970 best. Eleven first class centuries. HS 138* versus Somerset. 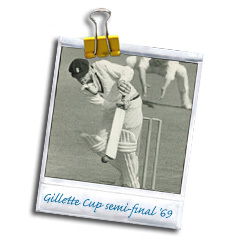 Selected for England Under 25 XI in 1968. Cricket Correspondent and Feature Writer - The Daily Telegraph and Sunday Telegraph 1989-1991, Wisden Almanack 2012, 2014. Book Reviewer – The Cricketer Magazine, The Daily Telegraph. Secretary to the Derbyshire County Cricket Club Former Players’ Association. 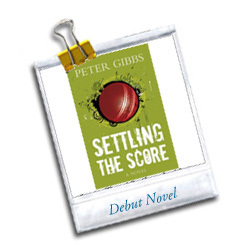 Author of 'Settling the Score', a novel that takes the reader behind the scenes of a County Championship match played in the late 1960s. An apparently humdrum mid-table fixture at the fag-end of the season turns into a story of bitter rivalry and betrayal both on and off the field. Published by Methuen. Short-listed for MCC Book of the Year Award 2013.